For the month of January, one of the challenges we had to choose from At Home was taking care of a decorating project we had been putting off so I decided to give our bathroom a decorative punch. We had the bathroom tiled several years ago, probably about 10, at the time we could get this tan tile cheap so we did it. Today I would like to redo the bathroom but there are other things that need to be redone first. I started out knowing I would like to streamline things somewhat and lighten the colors without having to paint or anything. The room is a neutral tan color that works with anything so I kept that and headed off to At Home to see what I could find and put together. I’ll share the pictures of the room with you and go more in-depth on why I chose what I did. Enjoy!!! I had seen this technique for making an ornament wreath online several years ago and had filed it away in the back of my mind and decided to give it a try this year using some of the great Shatterproof Ornaments available from At Home. You can find almost any color you can think of in these ornaments, so you can create wreaths of any color combination to go with your Christmas decor, I love the multi-colored one I created today but this would be just as beautiful all of one color. 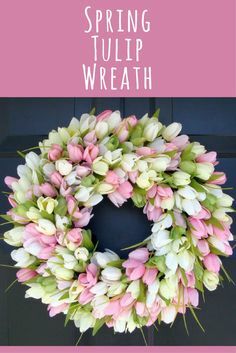 I’m definitely going to pick up other colors while they’re available so we can create other wreaths through the year for other holidays. I bought everything I needed at At Home except for my glue gun and glue sticks which I already had. Here’s several pics showing you the process to create the wreath and I’ll go into more detail with the pictures, Enjoy!!! Christmas Candles are one of those things that give you a double “hit” of pretty, they’re beautiful to look at during the day because of their colors and the designs on them and they’re even more beautiful after they’ve been lit. When I was a little boy we had a red and white candle that was in the shape of Christmas Tree, we never lit it because we didn’t want to destroy it, I still think of that candle every Christmas. At Home has a lot of beautiful candles in the stores in whatever colors you’re looking for, whether it’s gold, silver, white, blue, or red they’ve got it. As you’ll also see today they have beautiful candles in great designs like the red and white candy stripes I’m featuring. Here’s a look at what you can combine and create using Christmas Candles from At Home, Enjoy!!! I saw all these beautiful boxes from At Home and just had to mention and show them on the blog. The boxes are decorated beautifully and can be used for SO many different purposes and easily stored since they all rest inside of each other taking it down to one box to put away. So, without waiting any longer here’s a look at a few of the different boxes available from At Home and some ideas of how to make the best use of them. Enjoy!!! One thing to remember when decorating on flat surfaces like tabletops is that it adds a lot more interest if you can add height instead of having things all sit on the same level. A great way to get height is to use cake plates as “lifts” to raise some of your decorative pieces up, this also allows you to decorate up under the cake plates adding depth and dimension to your display. At Home has some wonderful cake plates that are $20 for a set of three that come in a nice box for storage, then you also have a nice set of cake plates for serving cupcakes, cookies, petit fours, and other sweets. Join me for a look at using cake plates in your decorating and look at a cute Christmas village I created using not only cake plates but house and trees, all from At Home, Enjoy!!! One of my very favorite things to use at Christmas for decorating are lidded glass jars and At Home has some beautiful ones, in all shapes and sizes. Lidded glass jars are very versatile because they can be filled with all sorts of different things and can be used in several different rooms, one note is that I priced jars all over town and at several different stores and the prices on the At Home jars were the best. Today I’ll share with you three different uses I’ve come up with, just use your imagination. Enjoy!!! One of the challenges At Home gave us for the holidays was to share some of our Christmas Tips, I’m taking them up on the challenge and over the next several days I’ll be sharing some of the things I do in client’s homes for Christmas decorations. Everything I use for these posts is coming from At Home unless it’s something I already owned and may tweak using an At Home product. So, on with the show. Something I’ve done over the last 20 years is to save one of every Christmas card Michael and I have sent out and I had the goal of framing them and setting them out, needless to say, the cards have sat in an old card box in a cabinet and I just add another card to it, but not this year. I went to At Home and picked out several frames to put the cards in, for this post today I chose all white frames but you should choose whatever style and color of frame that goes with your Christmas decorating theme and your home decor. I picked out several cards, measured them and made a list of the sizes and headed to At Home. Once I had the frames I used the paper that shows through the front of the frame as a template to trim down the cards to fit in the frames. I think these turned out great, this is something you could do with a group of friends, especially if you don’t have a collection of cards from Christmases past. You can get a group together and everyone can bring a box of new cards or old cards, everyone can go through them and pick out what you like and frame them. 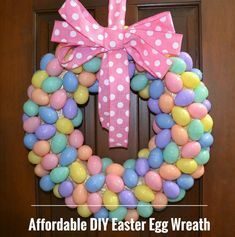 Most of the frames were under $10 and this is something you can easily add to every year. Here are some images of how mine turned out, as you can see I REALLY like Santa cards. Enjoy!!! For my November decorating challenge from At Home I chose their Holiday Dining Table challenge and decided to do something for Fall and Thanksgiving. I had had my eye on the amazing collection of art glass pumpkins At Home had in the stores this year and decided this was the perfect opportunity to do something fun and different with them. Everything I used in the challenge came from At Home and I’ll show you and tell what I did along the with photos from setting up the table. Enjoy!! !